Is it your diet rich enough in vitamins? Do you want to know where to find the best frit and vegetables in Dewas? It is well known how important is the daily consume of fruit and vegetables for a balanced and healthy diet. Furthermore, its direct influence on health has been proved in many ocassions. For example, one of the latest discoveries is the positive effect to prevent risk of lung cancer.This is thanks to a compound that has been found in colourful fruit and vegetables which fights against nicotine receptors. If you want to start taking care of yourself and you are interested in a fruit and vegetables diet, keep reading to get to know more about them and the best fruit and vegetables stores in Dewas. To start a fruit and veggie diet we should know more about each product we’re consuming. We have prepared a list of fruits and vegetables to help you out. Spinach and corn: very helpful to prevent blindness thanks to its hight content of coratenoids. Broccoli, onion and peas: these vegetables are rich in antioxidants ables to prevent cancer. Peas are especially advisables to prevent risk of somach cancer. Avocado and kale: they are the best fruit and vegetables to lower levels of bad colesterol. Avocado is very low in carbs. Mango, oranges and lemons: they are anemia fighters since they’re rich in vitamin C, what is also good for the digestive system. 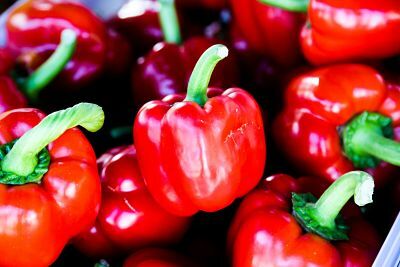 Watermelon and red bell peppers are very healthy vegetables for weight loss. Peppers are low-calories products but at the same time very rich in vitamin C. Watermelon is good to get fit since it is made of water in a 95%. In addittion they are anticancer. The fruit and vegetables market in Dewas counts with numerous stores where you could get your favourites products for your healthy recipes. In Infoininfo we know that eating fruit and vegetables will enhance your quality life and that is why we’ve prepared a list of the best fruit and vegetables stores in Dewas. We hope you find it helpful.